Crystal Crown is absolutely gorgeous! Home > News > Crystal Crown is absolutely gorgeous! Crystal Crown is absolutely gorgeous! Dripping rhinestones! 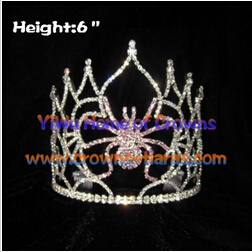 This is the very hot selling spider crown during halloween festival. As it polular, it has lots of height for sell. 5in 6in 7in 8in 10in 12in 14in all available. The color of the spider which in middle of could be in purple,pink,gold or other colors as request. 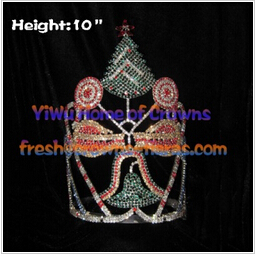 10inch cute design which made castle,christmas tree and candy accessories together into one Crowns,other heights still available too,please contact for details if interested in.